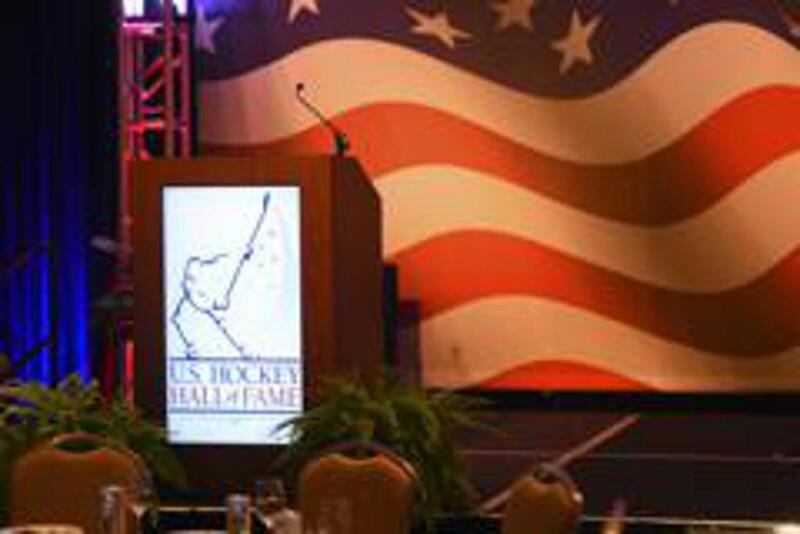 NASHVILLE, Tenn. — When Gordon “Red” Berenson made “the best decision of his life” and graduated from the University of Michigan in 1962, the only American playing in the NHL was Olympian Tommy Williams, and the only collegiately-produced player was Bill “Red” Hay, an early star at Colorado College. How times have changed as today one third of all NHL players are products of the college system and roughly 25 percent of those occupying roster spots are Americans. 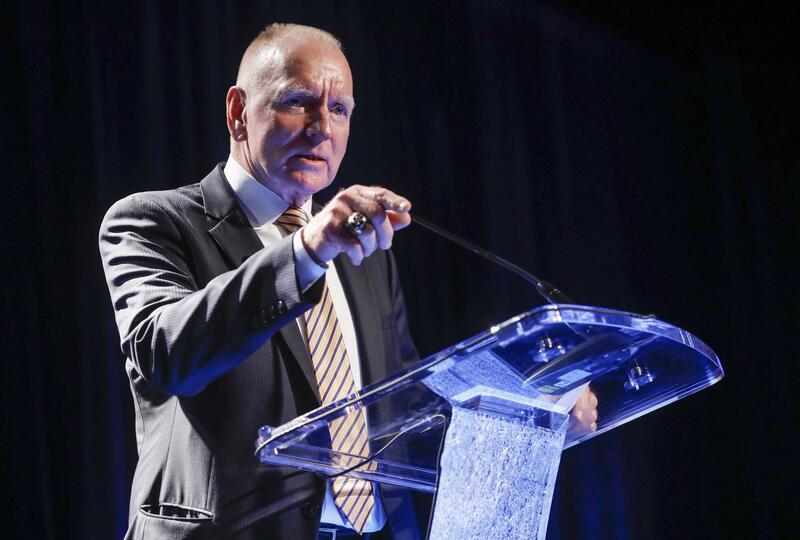 As he prepared to join the Class of 2018 entering the U.S. Hockey Hall of Fame, Berenson, in his own humble, soft spoken way, talked about the role he had in making that happen. After a successful NHL career as a player and coach, Berenson returned to his alma mater in 1984 where he would spend the next 33 years serving as the head coach of the Wolverines, helping players receive the same opportunities to enjoy the college experience that were given to him years ago. “It’s amazing how many people touch you along the way and it’s amazing how many people you end up touching,” Berenson said prior to Wednesday’s induction ceremony. Throughout his time at Ann Arbor, the Saskatchewan-born Berenson became a staunch supporter of the American player and the college system. Even prior to that, as a coach with the St. Louis Blues, Berenson recalled sitting in meetings with team scouts and player personnel people debating the pros and cons of selecting a relatively unknown college player from New York City. Only Art Berglund, who would go on to a long and distinguished career with USA Hockey, pleaded with the Blues brass to take a chance on Joe Mullen. And the rest, as they say, is hockey history. Berenson saw the fruits of that labor first hand Tuesday night when he and the other members of the Class of 2018, including three-time Olympian Natalie Darwitz, longtime NHL referee Paul Stewart, hockey pioneer Leland “Hago” Harrington and David Poile, the most successful general manager in NHL history, were honored at a Nashville Predators game. The results of Poile’s vision of creating a hockey haven in the middle of Music Row were on full display on this night. Growing the game from scratch runs in Poile’s blood. His father, Bud, built expansion franchises in Philadelphia and Vancouver. His son followed in those pioneering footsteps after graduating from Northeastern University when he took a front office job with the expansion Atlanta Flames in 1972. Twelve years later he became the general manager of the Washington Capitals, building the foundation for what has become a model NHL franchise. He did so by making shrewd trades that weren’t always embraced by those in the organization. More often than not Poile has proven that he knows exactly what he’s doing. After winning more than 500 games with the Capitals, Poile was searching for a new challenge when the expansion Predators came calling in 1997. Through several lean years Poile stayed true to his vision to not only build a Stanley Cup contender but to turn Nashville into a vibrant hockey town. Along the way he continued his trading ways, swapping popular team captain Shea Webber for the flamboyant P.K. Subban. Once again Poile proved that he knew what he was doing as the Predators made it to the Cup finals before losing in six games to the Pittsburgh Penguins. Despite falling short of their goal, the rest of the hockey world was able to witness what Poile had envisioned so long ago. Hockey and honky tonks could thrive together in Music City, USA. “I had a vision to turn this into a hockey market with sellout crowds and people wearing Predators gear and having the Predators being a big part of the community,” said Poile, who was honored last season as the winningest general manager in NHL history. “It’s like building my favorite dessert. You put a couple of scoops of ice cream in there, then you put the right sauce on there and then some whipped cream. And the cherry on the top is the Stanley Cup.